This was happening more and more now, said Kasrils. He was responding to African National Congress secretary general Gwede Mantashe’s comments that the Thabo Mbeki administration had not done its job. 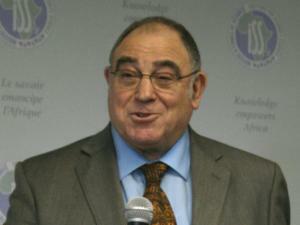 Kasrils and other ANC veterans have been criticised by the ANC for their “Sidikiwe! Vukani! Vote Campaign”. The group said it was not a “no vote” campaign – they were calling on people to go to the polls on May 7 and not to vote for the ANC. Former deputy health minister Nozizwe Madlala-Routledge, who was part of the campaign, said citizens could send a strong message by either voting for a minority party, which would take away from the dominant political parties, or people could spoil their ballots. 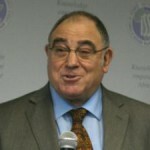 Kasrils said when he was speaking on a radio station on Monday, Mantashe called in and said the shooting of mineworkers at Marikana was an intelligence failure and that Kasrils had messed up when he was minister. Kasrils said he had ordered a review of the country’s intelligence and a report was tabled at the end of his last term in government, which the current government had not taken forward. “They don’t want to know anything about that report because they want the intelligence service to be a tool of Luthuli house and of the president. “That is where on the one hand you get Mantashe saying we did a terrible job and they going to expose us. Let them. I will gladly… go out into public court and we can have it out in terms of our record,” he said. Kasrils admitted that he was quiet during Aids denialism under Mbeki and he apologised for that. However, there was a difference between the Mbeki administration and that of former president Nelson Mandela compared to now. “There were no decisions that they took that were about their own wealth. They were not decisions of greed,” he said.